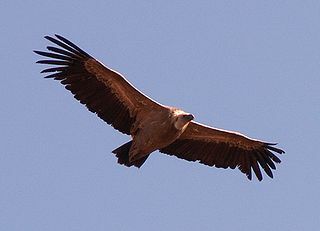 A vulture is a scavenging bird of prey. The two types of vultures are the New World vultures, including the Californian and Andean condors, and the Old World vultures, including the birds that are seen scavenging on carcasses of dead animals on African plains. Some traditional Old World vultures are not closely related to the others, which is why the vultures are to be subdivided into three taxa rather than two. New World vultures are found in North and South America; Old World vultures are found in Europe, Africa, and Asia, meaning that between the two groups, vultures are found on every continent except Australia and Antarctica. Nymphaea caerulea, known primarily as blue lotus, but also blue water lily, and sacred blue lily, is a water lily in the genus Nymphaea. Like other species in the genus, the plant contains the psychoactive alkaloid aporphine. 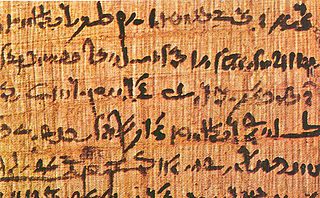 It was known to the Ancient Egyptian civilization. Isis was a major goddess in ancient Egyptian religion whose worship spread throughout the Greco-Roman world. Isis was first mentioned in the Old Kingdom as one of the main characters of the Osiris myth, in which she resurrects her slain husband, the divine king Osiris, and produces and protects his heir, Horus. She was believed to help the dead enter the afterlife as she had helped Osiris, and she was considered the divine mother of the pharaoh, who was likened to Horus. Her maternal aid was invoked in healing spells to benefit ordinary people. Originally, she played a limited role in royal rituals and temple rites, although she was more prominent in funerary practices and magical texts. She was usually portrayed in art as a human woman wearing a throne-like hieroglyph on her head. During the New Kingdom, as she took on traits that originally belonged to Hathor, the preeminent goddess of earlier times, Isis came to be portrayed wearing Hathor's headdress: a sun disk between the horns of a cow. It has been suggested that the foliage of the Greek Corinthian capital was based on the Acanthus spinosus, that of the Roman on the Acanthus mollis . Not all architectural foliage is as realistic as Isaac Ware's (illustration, right) however. The leaves are generally carved in two "ranks" or bands, like one leafy cup set within another. 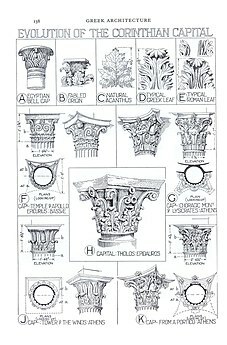 One of the most beautiful Corinthian capitals is that from the Tholos of Epidaurus (400 BC); it illustrates the transition between the earlier Greek capital, as at Bassae, and the Roman version that Renaissance and modern architects inherited and refined (See the more complete discussion at Corinthian order). 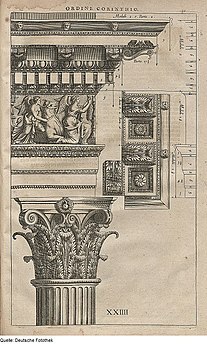 In Roman architectural practice, capitals are briefly treated in their proper context among the detailing proper to each of the "Orders", in the only complete architectural textbook to have survived from classical times, the Ten Books on Architecture , by Marcus Vitruvius Pollio, better known just as Vitruvius, dedicated to the emperor Augustus. The various orders are discussed in Vitruvius' books iii and iv. Vitruvius describes Roman practice in a practical fashion. He gives some tales about the invention of each of the Orders, but he does not give a hard and fast set of canonical rules for the execution of capitals. The architecture of ancient Greece is the architecture produced by the Greek-speaking people whose culture flourished on the Greek mainland, the Peloponnese, the Aegean Islands, and in colonies in Anatolia and Italy for a period from about 900 BC until the 1st century AD, with the earliest remaining architectural works dating from around 600 BC. The Doric order was one of the three orders of ancient Greek and later Roman architecture; the other two canonical orders were the Ionic and the Corinthian. The Doric is most easily recognized by the simple circular capitals at the top of columns. 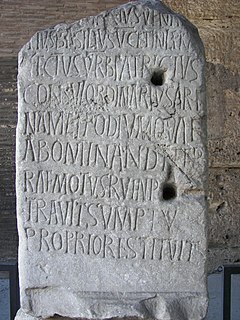 Originating in the western Dorian region of Greece, it is the earliest and in its essence the simplest of the orders, though still with complex details in the entablature above. The Ionic order forms one of the three classical orders of classical architecture, the other two canonic orders being the Doric and the Corinthian. 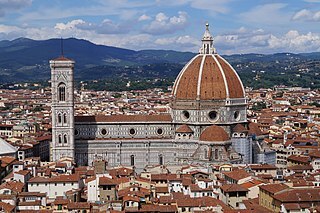 There are two lesser orders: the Tuscan, and the rich variant of Corinthian called the composite order, both added by 16th-century Italian architectural writers, based on Roman practice. Of the three canonic orders, the Ionic order has the narrowest columns. A volute is a spiral, scroll-like ornament that forms the basis of the Ionic order, found in the capital of the Ionic column. It was later incorporated into Corinthian order and Composite column capitals. Four are normally to be found on an Ionic capital, eight on Composite capitals and smaller versions on the Corinthian capital. In architecture, an abacus is a flat slab forming the uppermost member or division of the capital of a column, above the bell. Its chief function is to provide a large supporting surface, tending to be wider than the capital, as an abutment to receive the weight of the arch or the architrave above. The diminutive of abacus, abaculus, is used to describe small mosaic tiles, also called abaciscus or tessera, used to create ornamental floors with detailed patterns of chequers or squares in a tessellated pavement. Greek temples were structures built to house deity statues within Greek sanctuaries in ancient Greek religion. The temple interiors did not serve as meeting places, since the sacrifices and rituals dedicated to the respective deity took place outside them, within the wider precinct of the sanctuary, which might be large. Temples were frequently used to store votive offerings. They are the most important and most widespread building type in Greek architecture. In the Hellenistic kingdoms of Southwest Asia and of North Africa, buildings erected to fulfill the functions of a temple often continued to follow the local traditions. Even where a Greek influence is visible, such structures are not normally considered as Greek temples. This applies, for example, to the Graeco-Parthian and Bactrian temples, or to the Ptolemaic examples, which follow Egyptian tradition. Most Greek temples were oriented astronomically. The Tuscan order is in effect a simplified Doric order, with un-fluted columns and a simpler entablature with no triglyphs or guttae. While relatively simple columns with round capitals had been part of the vernacular architecture of Italy and much of Europe since at least Etruscan architecture, the Romans did not consider this style to be a distinct architectural order. Instead the Tuscan order, presented as a standardized formal order, is an invention of Italian Renaissance writers largely motivated by nationalism. The composite order is a mixed order, combining the volutes of the Ionic order capital with the acanthus leaves of the Corinthian order. In many versions the composite order volutes are larger, however, and there is generally some ornament placed centrally between the volutes. The column of the composite order is typically ten diameters high, though as with all the orders these details may be adjusted by the architect for particular buildings. The Composite order is essentially treated as Corinthian except for the capital, with no consistent differences to that above or below the capital. The composite order is not found in ancient Greek architecture and until the Renaissance was not ranked as a separate order. 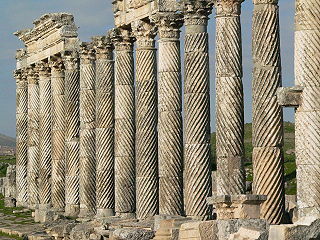 Instead it was considered as an imperial Roman form of the Corinthian order. Though the Arch of Titus, in the forum in Rome and built in 82 AD, is sometimes cited as the first prominent surviving example of a composite order, the order was probably invented "a little before Augustus's reign, and certainly well-developed before his death, the very time when the Roman version of Corinthian was being established." Cymatium molding appears at the top of the cornice in the classical order, and made of the s-shaped cyma molding, combining a concave cavetto with a convex ovolo. It is characteristic of Ionic columns and can appear as part of the entablature, the epistylium, and the capital. Often decorated with a palmette or egg-and-dart ornament on the surface of the molding. The Five Orders of Architecture is a book on classical architecture by Giacomo Barozzi da Vignola from 1562, and is considered "one of the most successful architectural textbooks ever written", despite having no text apart from the notes and the introduction. Originally published in Italian as Regola delli cinque ordini d'architettura, it has been fully or partially translated in English with different titles, including Canon of the Five Orders of Architecture; Rules of the Five Orders of Architecture; Vignola: an elementary treatise on architecture comprising the complete study of the five orders, with indication of their shadows and the first principles of construction; The Five Orders of Architecture according to Giacomo Barozzio of Vignola, to Which are Added the Greek Orders; and The five orders of architecture, the casting of shadows and the first principles of construction based on the system of Vignola. 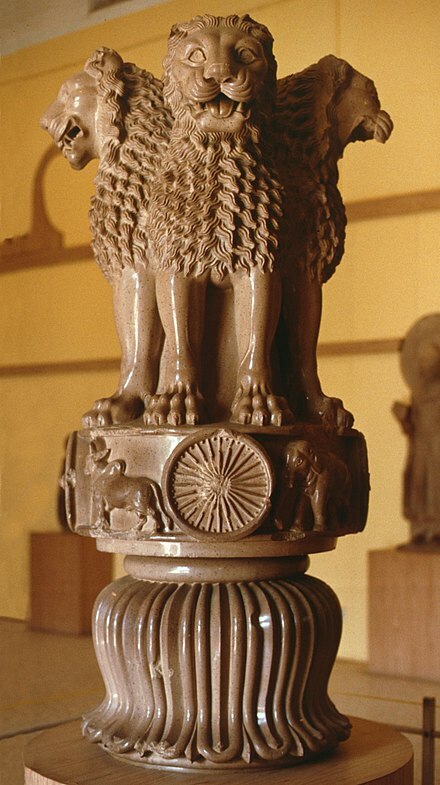 The Pataliputra capital is a monumental rectangular capital with volutes and Classical Greek designs, that was discovered in the palace ruins of the ancient Mauryan Empire capital city of Pataliputra. It is dated to the 3rd century BCE. An Anta capital is the crowning portion of an anta, the front edge of a supporting wall in Greek temple architecture. The anta is generally crowned by a stone block designed to spread the load from superstructure (entablature) it supports, called an "anta capitals" when it is structural, or sometimes "pilaster capital" if it is only decorative as often during the Roman period. ↑ John James, The Creation of Gothic Architecture – an Illustrated Thesaurus: The Ark of God, vols. 5, London and Hartley Vale, 2002/2008. ↑ Gradidge, Roderick (1981). Edwin Lutyens: Architect Laureate. London: George Allen and Unwin. p. 69. ISBN 0-04-720023-5. ↑ Gradidge, Roderick (1981). Edwin Lutyens: Architect Laureate. London: George Allen and Unwin. p. 151. ISBN 0-04-720023-5. ↑ Gradidge, Roderick (1981). Edwin Lutyens: Architect Laureate. London: George Allen and Unwin. p. 161. ISBN 0-04-720023-5. 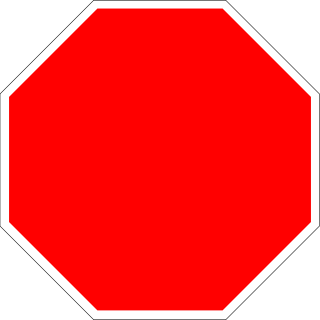 This article incorporates text from a publication now in the public domain : Chisholm, Hugh, ed. (1911). "Capital (architecture)" . Encyclopædia Britannica (11th ed.). Cambridge University Press. Wikimedia Commons has media related to Capitals (architecture) . Wikisource has the text of the 1911 Encyclopædia Britannica article Capital (architecture) .